K A Duggsy was born in Cardiff, UK and is a mum of 3. She loves to read romance, regardless of the sub genre, but she does prefer a HEA. Her biggest passion is reading, followed closely by writing. She alternates between the two, and her long-suffering children and partner frequently get ignored while she does so. Her love of writing started with poetry and she had some works published. Today, Tomorrow, Forever was her first novella, followed by Today, Tomorrow, Forever. Carey's Revenge. 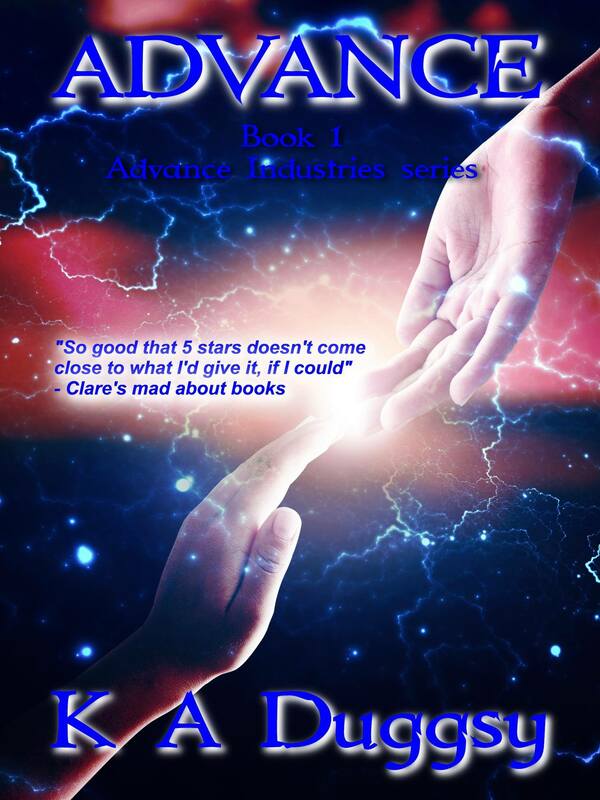 K A enjoys writing about strong women and the men who love them with a healthy dose of suspense and action thrown in. Her first full length novel Advance (Advance Industries #1) was released in February 2016 in a genre she never thought she'd attempt.